This week I’m taking a look back at an article I wrote in 2016 called, Easter Island: Photographing The Last Place On Earth. It is hard to believe it has been three years since I had the opportunity to travel to this mythical and remote island with my friends, Christian and Regula Heeb, and a group of photographers we were leading. 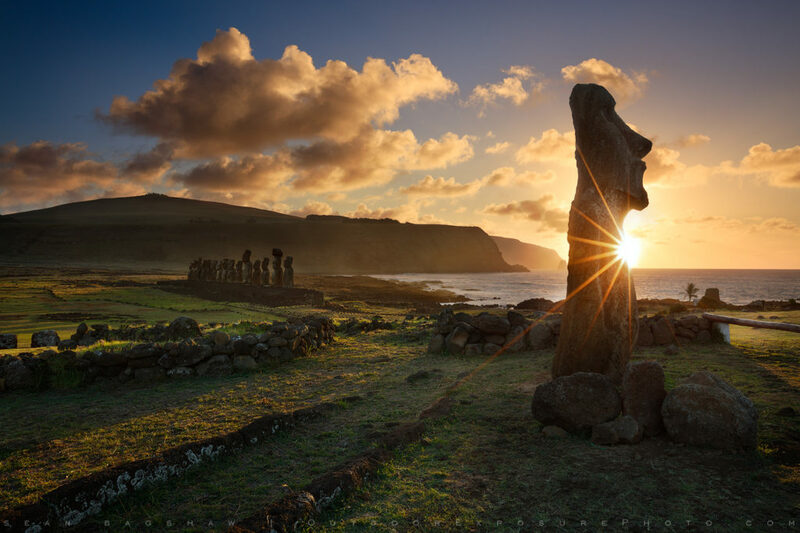 A lot of misinformation has circulated over the years about the Rapa Nui people and the giant moai statues they created, but researchers and scientists are incrementally understanding more and more. Just the other day I was reminded of my trip to the island as I read about a recent study which indicates the statues may have been placed in areas where valuable freshwater was available. It points to a spirit of cooperation and sharing of resources by the Rapa Nui in contrast to previous theories which have painted a picture of infighting and competition that led to the collapse of their society. The study was done by Carl Lipo, Terry Hunt and colleagues, the same researchers who previously demonstrated that it is possible to move a ten-foot, five-ton moai a few hundred yards with just 18 people and three strong ropes by employing a rocking motion. I am very grateful to have had the opportunity to visit Easter Island and photograph the Moai. Traveling and photographing gives me deeper insight into history, people and culture. I very much enjoyed learning about the Rapa Nui before and during the trip. My personal connection to the place has inspired me to stay abreast of new information as ongoing research continues to teach us more. Already, in just three years, much of the information I had learned about the people and their society is being questioned and revised. Sean is an outdoor photographer, digital image developing enthusiast and photography educator based in Ashland, Oregon, where he resides with his wife and two sons. His previous career as a science teacher makes photography education a good fit. Sean teams up with fellow Photo Cascadia members leading workshops. He also teaches digital image developing classes, lectures and offers a series of Photoshop video tutorials.